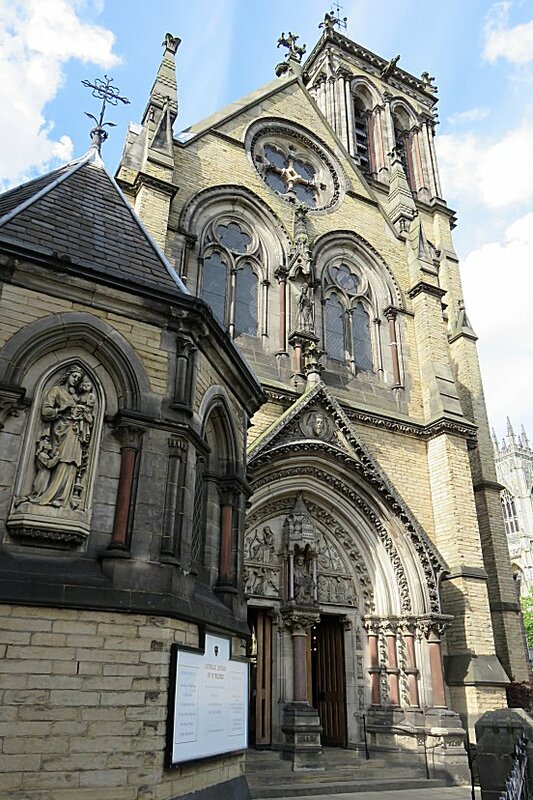 Situated within sight of York Minister in the city centre, the present church was completed in 1864, designed in a Gothic Revival style, and became a grade II listed building in 1968. However, a church dedicated to St Wilfrid has stood in York since medieval times. 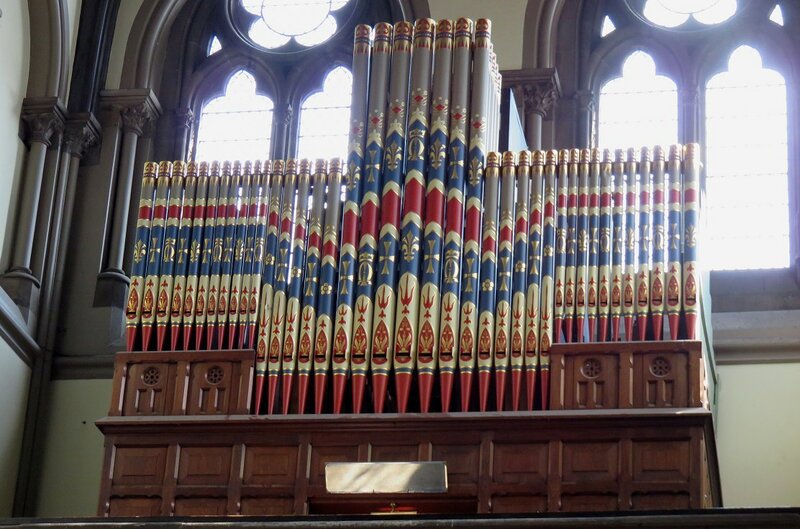 Its first organ by Forster & Andrews, dating from shortly after the church opened, was rebuilt with tonal changes in 1973 but restored to original condition by Harrisons in 1998 with a grant from the Heritage Fund. Perhaps unfortunately from a practical point of view, the restoration required the reinstatement of a ratchet swell lever. A Viol d'Amour and Céleste were restored to the Swell Organ after they had previously been removed in favour of a Violoncello and Larigot. The action is mechanical throughout with the only playing aids being four composition pedals affecting the Great Organ. Although the pedalboard has 30 notes, the pedal stops have 27 notes only, the others working via couplers. You can hear the bells of St Wilfrid's as October 2018's Music of the Month.